Urban Decay are the Queen (or King - I won't be sexist) of the eyeshadow palettes. The NAKED palettes have been around for many many years and us beauty lovers want them all! But what if you want to be a little bit more adventurous with the colours you blend onto your lids? 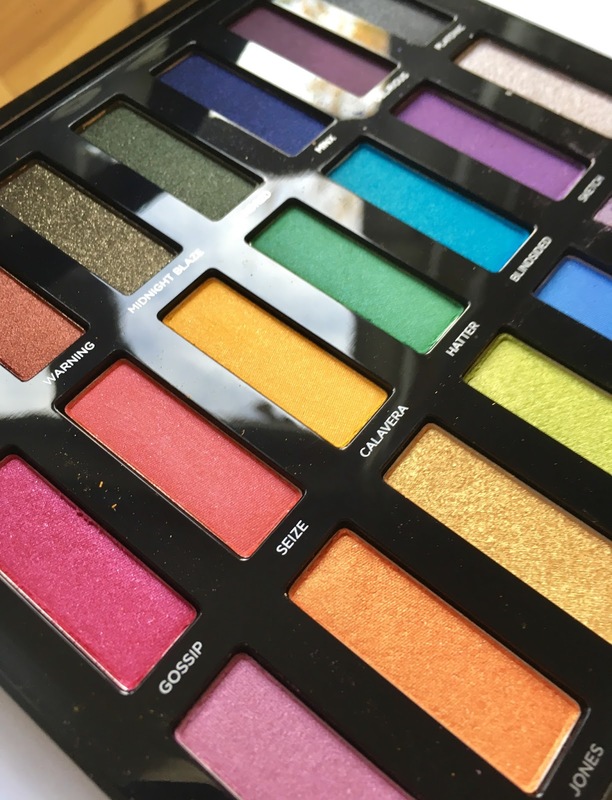 "In 2015, UD launched Urban Spectrum Eyeshadow Palette in limited quantities, and people freaked out trying to get their hands on it. 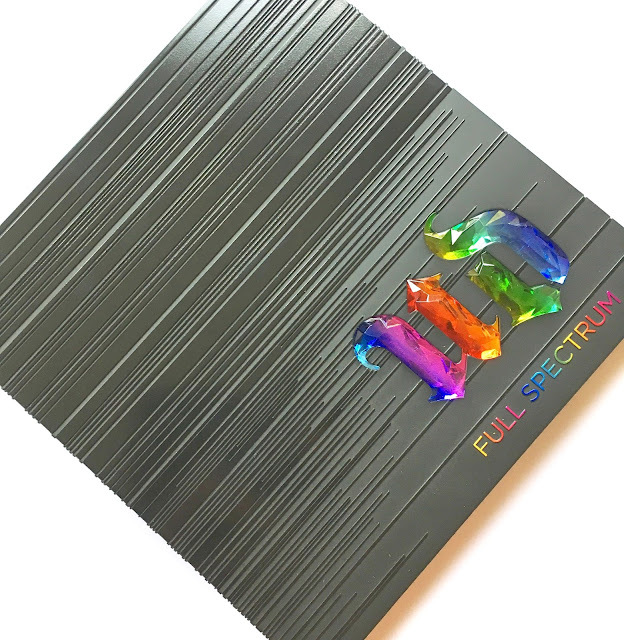 And if you thought that palette was amazing, you’ll be blown away by Full Spectrum. This set ups the ante with UD’s BIGGEST, most colourful eyeshadow palette yet! From super-smooth mattes to shimmer-laced shades, this palette has something for EVERY colour junkie." Here is the new palette from Urban Decay - Full Spectrum RRP £43.00. 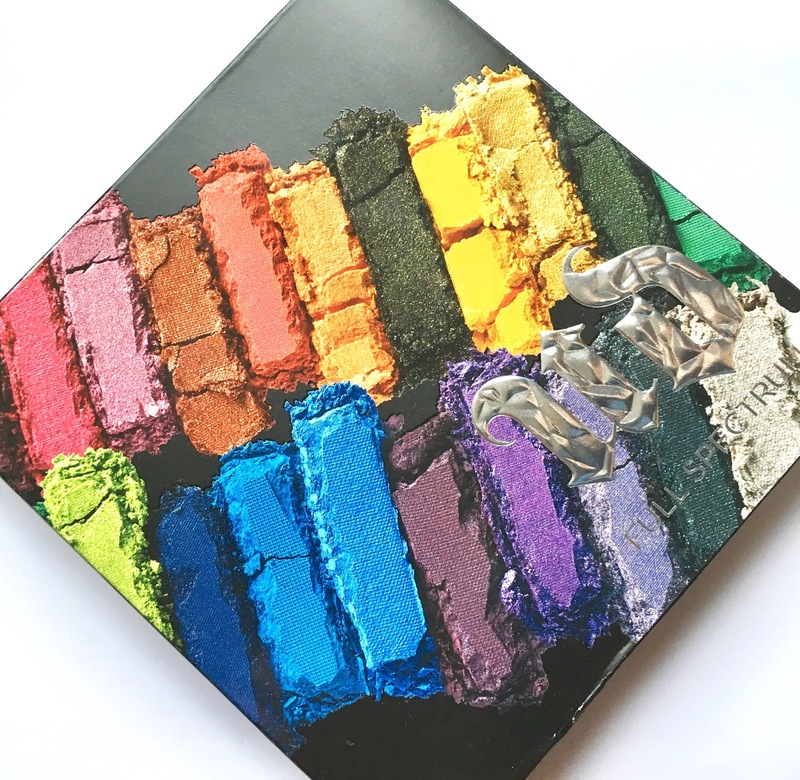 "Satisfy your colour addiction with Urban Decay’s Full Spectrum Eyeshadow Palette, a limited-edition set featuring 21 shades of their iconic eyeshadow (the most ever in any UD palette! )—from bold brights to matte white. UD organised this rainbow eyeshadow palette by colour family, creating coordinated ombré trios: pinks, oranges, yellows, greens, blues, purples, and even a wildcard row that goes from white to black. The end result? An eyeshadow palette that not only looks stunning, but also delivers tonnes of options. Create dimensional ombré looks by working within the colour-coordinated trios or experiment with multiple shade groups at once. With 18 NEW shades, three exclusives from past palettes, and a wide range of finishes, you’ll never run out of options." The packaging - oh the packaging - as always is extremely unique. The crisp black shell is sturdy and has a huge mirror inside along with a crystal embellished effect UD signature in the corner. This palette really is packed with highly pigmented colours that will make you want to get creative with your look. The pictures below do not do it justice. "Each Eyeshadow in the Full Spectrum Eyeshadow Palette features UD’s Pigment Infusion System™, the proprietary blend of ingredients that gives every shade its velvety texture, rich colour, serious staying power and blendability." Well done Urban Decay, you have done it again. Our purses are willing us to be lighter and our eyeshadow collection will not feel complete until this beauty is sat next to our NAKED collection on our dressing tables. Are you brave enough to experiment with these eye popping shades?